Summer is here, I want nice, refreshing food. 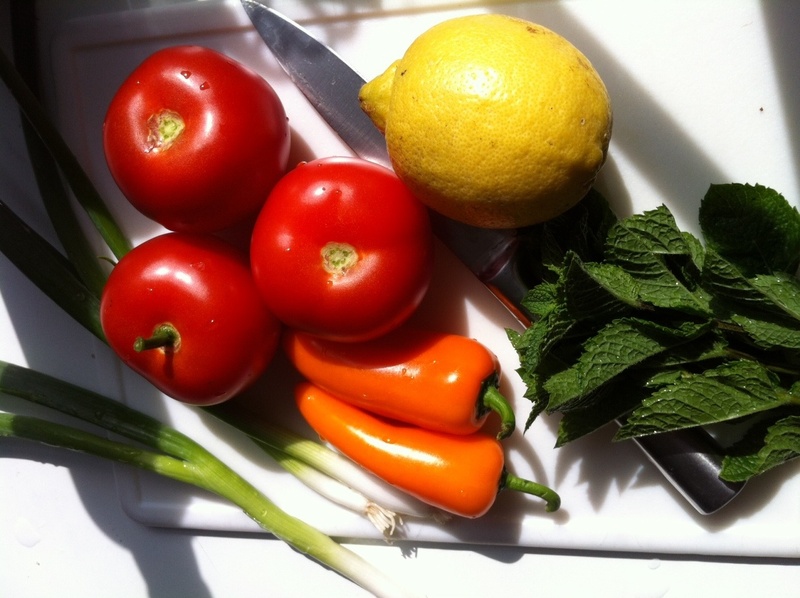 Tabbouleh is a good one! Boil some water and pour over the couscous in a bowl, to the point where the water just covers the cousous. Cover and leave for 5 minutes. Meanwhile, finely chop all the ingredients, including the mint. When the couscous has cooled down, add the ingredients to the bowl, with the olive oil, lemon juice, salt and pepper and put in the fridge for a couple of hours to allow flavours to develop. Serve at a BBQ with home made burgers or sausages, YUM! 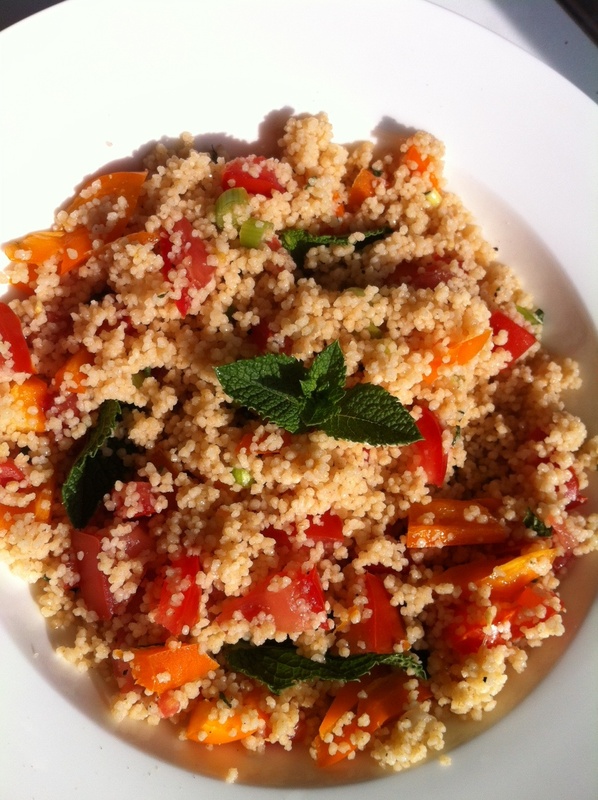 This entry was posted in News, Recipes and tagged couscous, healthy eating, mint, pepper, spring onions, summer recipe, tabbouleh, tomato, vegetarian on July 16, 2013 by Alix.